Why Pair Up with Infoblox? As an Infoblox partner, you can deploy the blazing-fast, high-availability, agile networks end users have always wanted and desperately need. If your customers have endpoint security or use NAC or SIEM, Infoblox security solutions can enrich those systems with valuable network data to accelerate remediation and quarantine offending devices. Infoblox ActiveTrust Cloud provides visibility into infected and compromised devices on or off premises, prevents DNS-based data exfiltration, and automatically stops device communications with C&Cs and botnets. 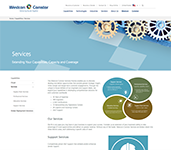 Delivered as a service, it’s easy to use, deploy and maintain. Tee off discussions about Infoblox solutions using these conversation starters. What products do you use for IP Management? Infoblox DDI makes it easier for you to support your current and evolving needs, while achieving the highest standards for security, service uptime and operational efficiencies. What products do you use that provide visibility into the network? What products do you use for Network Control? Infoblox ActiveTrust® Cloud protects users whether they are on the enterprise network, roaming or in remote office or branch offices. It prevents DNS-based data exfiltration and automatically stops malware communications with C&Cs/botnets. What products do you use for Network Automation? With Infoblox NetMRI, you can gain control over your highly complex network infrastructure. It simplifies and automates management of multivendor environments and enforces best practices, compliance mandates and security policies. What do you use to have visibility and control of your network? Infoblox ActiveTrust® Cloud ensures that you can see every network asset with unmatched clarity, context and insight – every device, IP address and switch port. 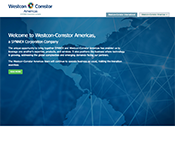 It consolidates all your core network infrastructure and service data into a single, comprehensive, authoritative database. You gain agility through its extensive automation, centralized visibility and integrated management capabilities while reaping substantial savings in time and expense. Shoot to win with help from the security pros. 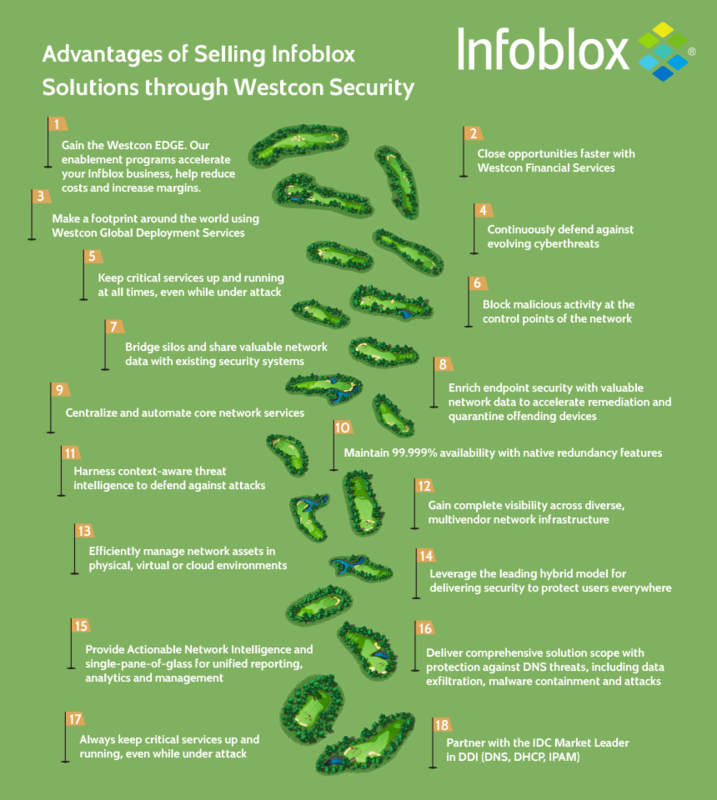 Contact Andrew Fritz, Westcon’s Infoblox Inside Business Development Manager, at 303-566-7805 or andrew.fritz@westcon.com or Denny Fitzgerald, Westcon’s Infoblox Product Sales Manager, at 303-566-7804 or denny.fitzgerald@westcon.com.